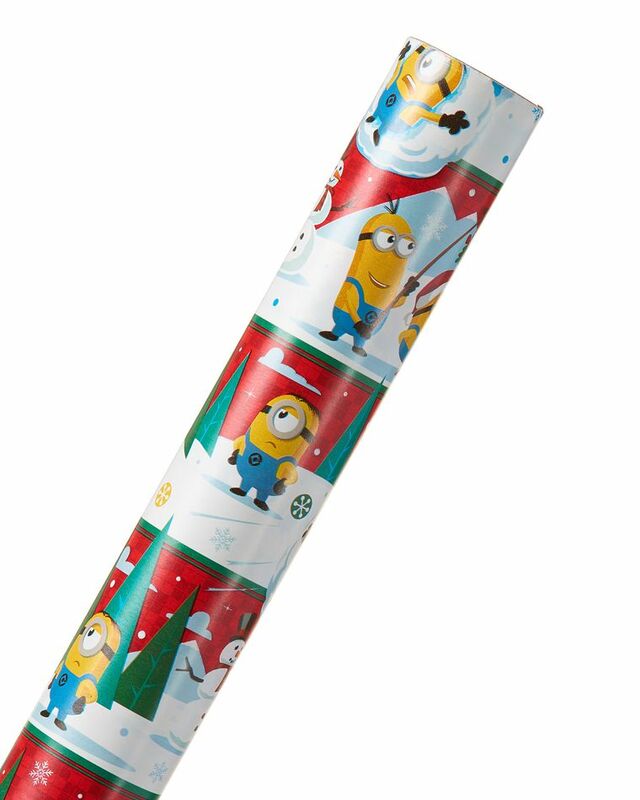 Celebrate your biggest Despicable Me fan with a holiday gift presentation featuring Minions! 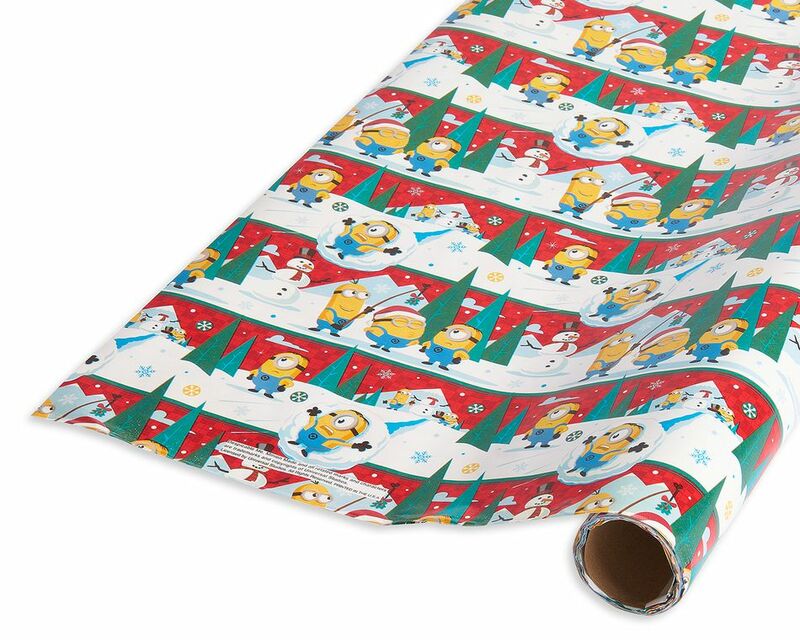 The festive design features Minions characters Bob, Stuart and Kevin goofing around in wintry holiday scenes. Roll measures 2-1/2 ft. x 8 ft. (20 sq. ft. total), enough wrapping paper for approximately four shirt boxes. Decorate with bows and ribbons (sold separately) for an extra-special touch. It’s perfect for sharing a holiday gift with younger recipients or Minions fans of any age!